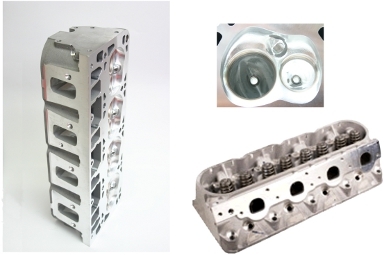 CNC port program and custom 5 angle valve job to make a very good factory head perform great. We also include our dual .650" lift spring with titanium retainers for outstanding reliability and performance with most any cams and mill to chambers to fit customer's application. Head will fit 4.00" bore but will require 4.125" gasket. 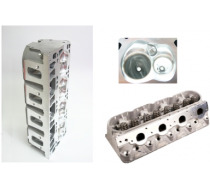 Optional spring or aftermarket valve packages available.